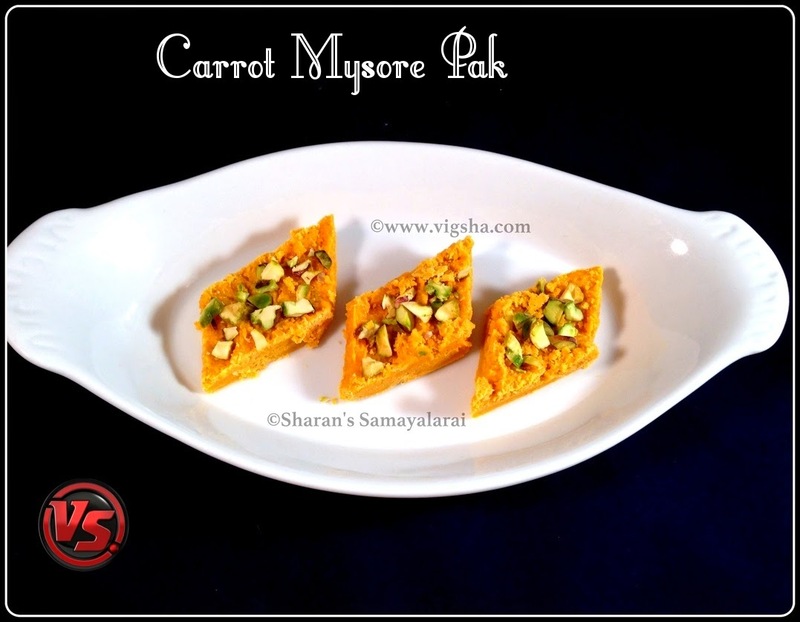 Carrot Mysorepak is a simple and tastes absolutely divine. This is easy to prepare, I made it successfully in the first attempt itself. Don't miss to check the notes section for making the perfect one. 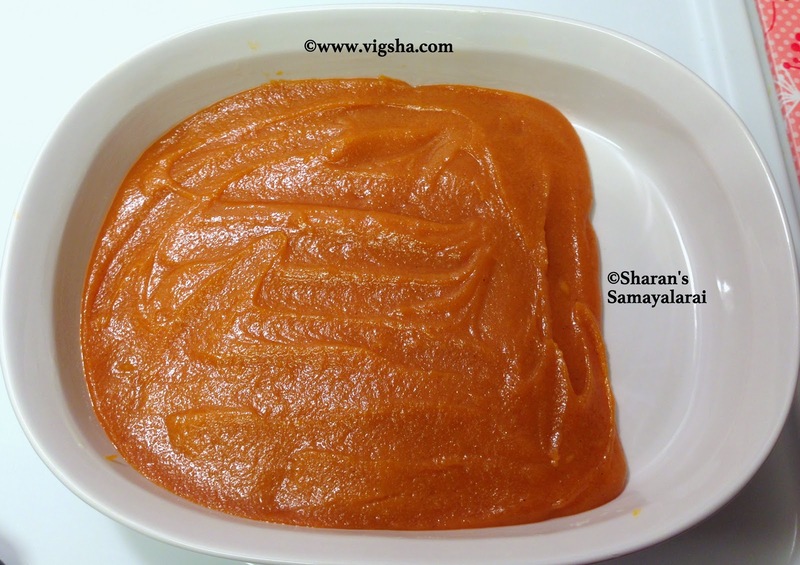 This is a slight variation from the traditional Mysore pak recipe. 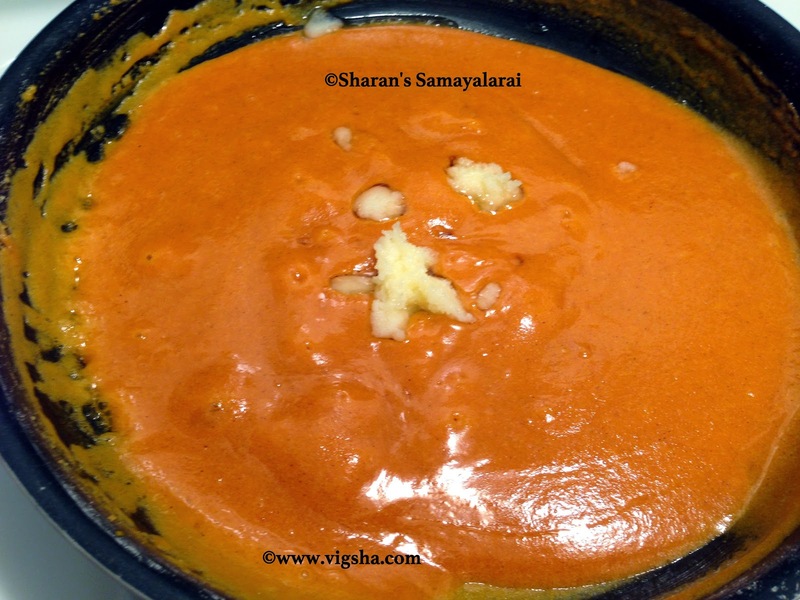 I am posting a new recipe after a short break. We have been blessed with a little prince "VIYAN (வியன்)" . I wanted to share this news with a sweet recipe. 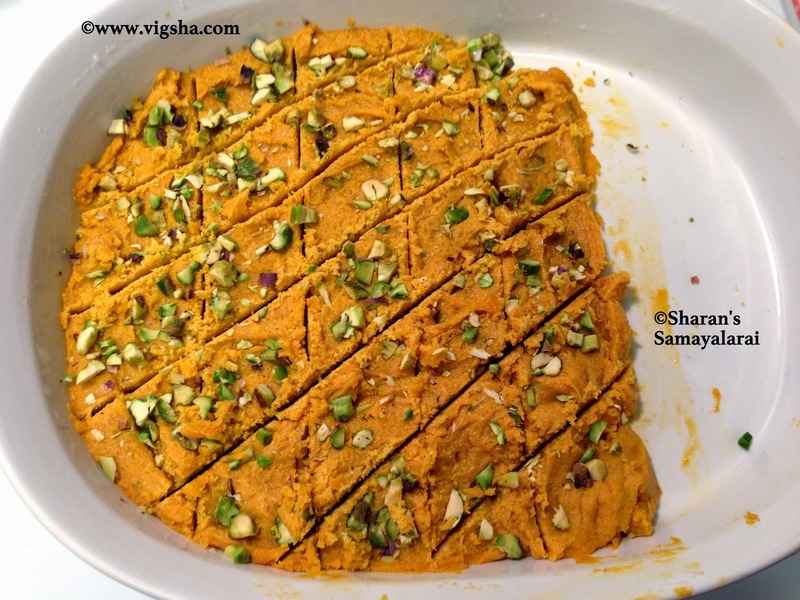 I prepared this sweet for Diwali and I have been thinking to post this recipe since then, but somehow missed. I am not a big fan of traditional mysore pak but DH and mom loves Krishna Sweets Mysore Pak. 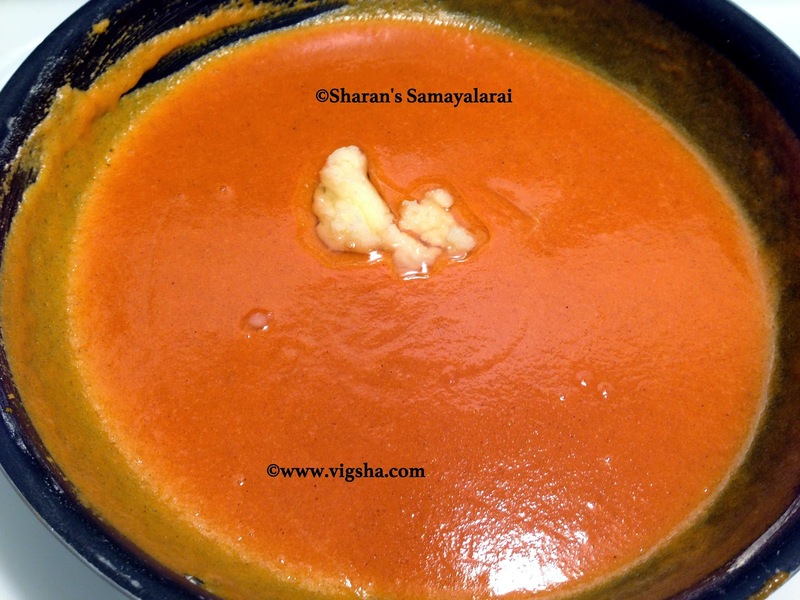 So I am experimenting different versions and this was a hit recipe. 1). 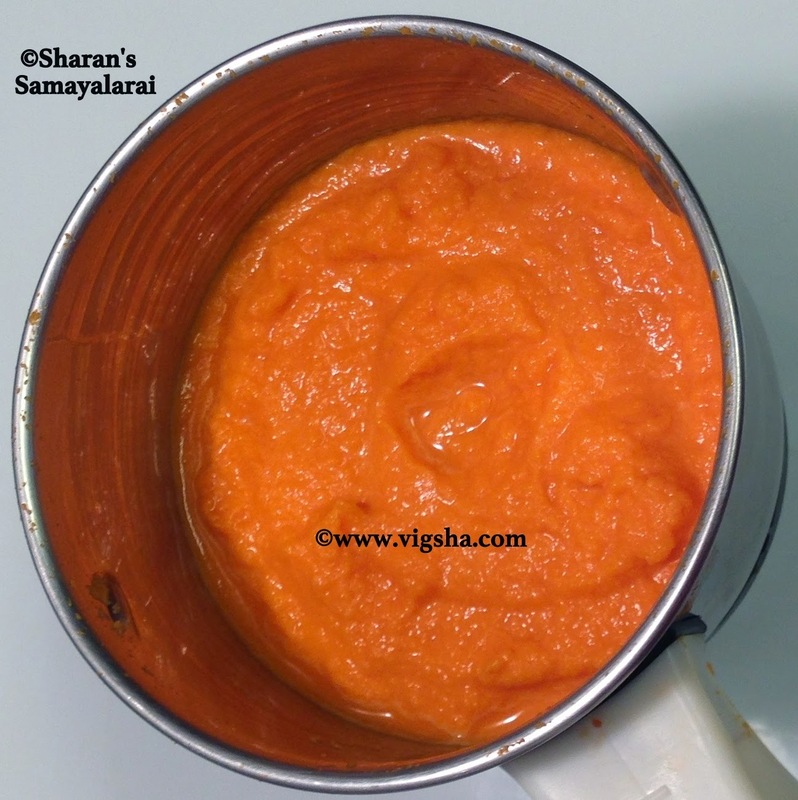 Peel, grate and grind the carrots along with milk to a fine paste. Sift the flour to get rid of the lumps. Finely chop the nuts. 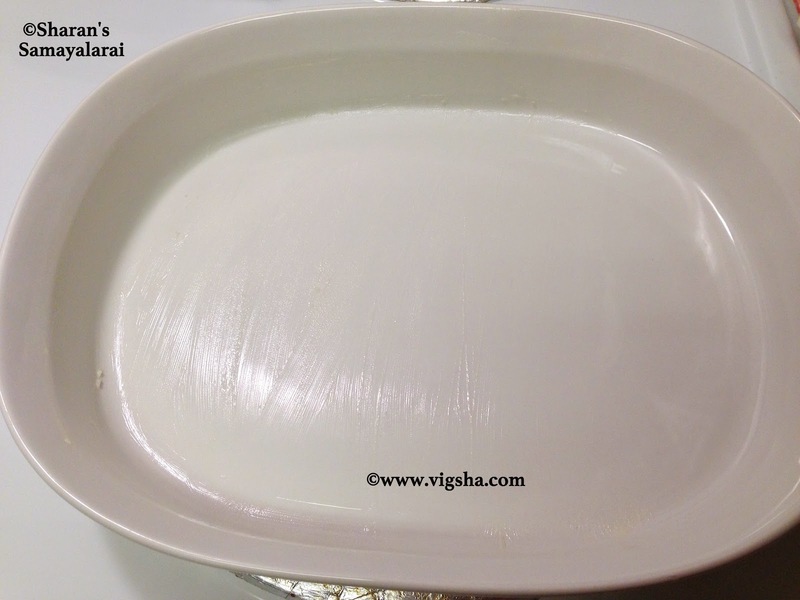 Grease a tray with ghee and keep aside. 2). 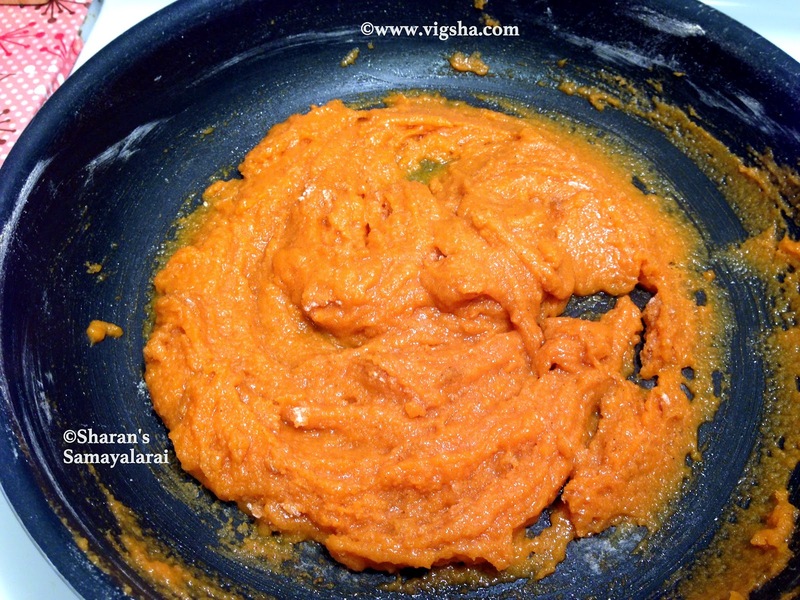 In a wide pan preferably non-stick, add the grounded carrot-milk paste, besan and sugar. Mix everything together it will start diluting when heated. Keep the flame in medium through out the process. 3). 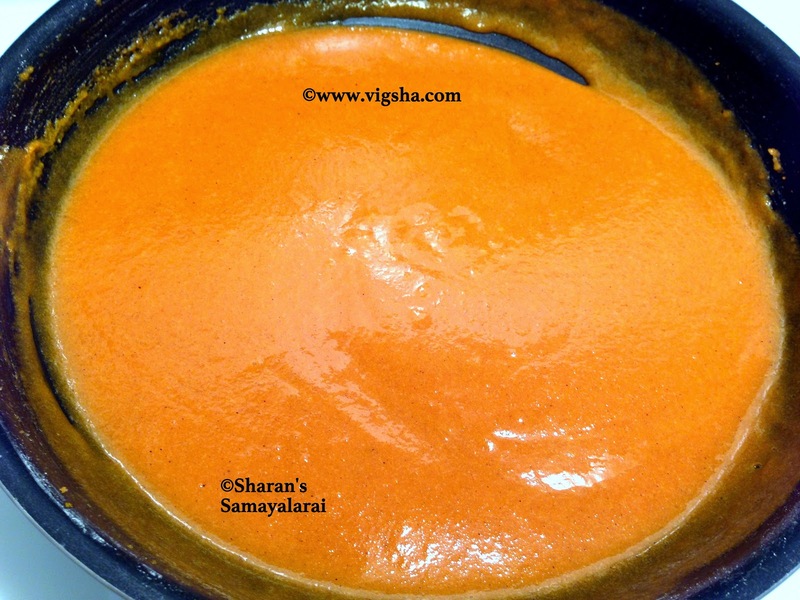 When it begins to bubble, add ghee slowly in regular intervals and keep stirring. 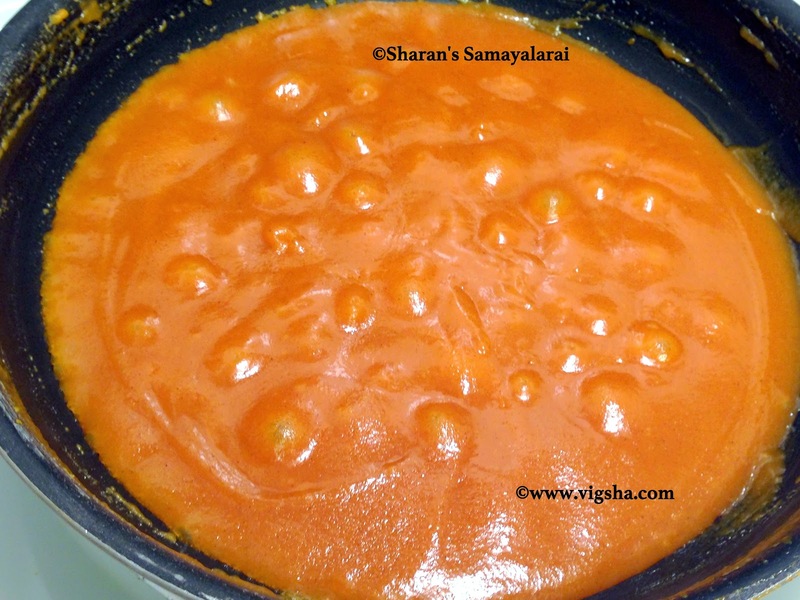 The minute you add the ghee, it will froth up like the picture below. The mixture will first stick while scrapping with the laddle. Keep stirring to avoid burning. 4). Continue stirring while the mixture keeps getting thick. Be careful when the color changes and becomes frothy. 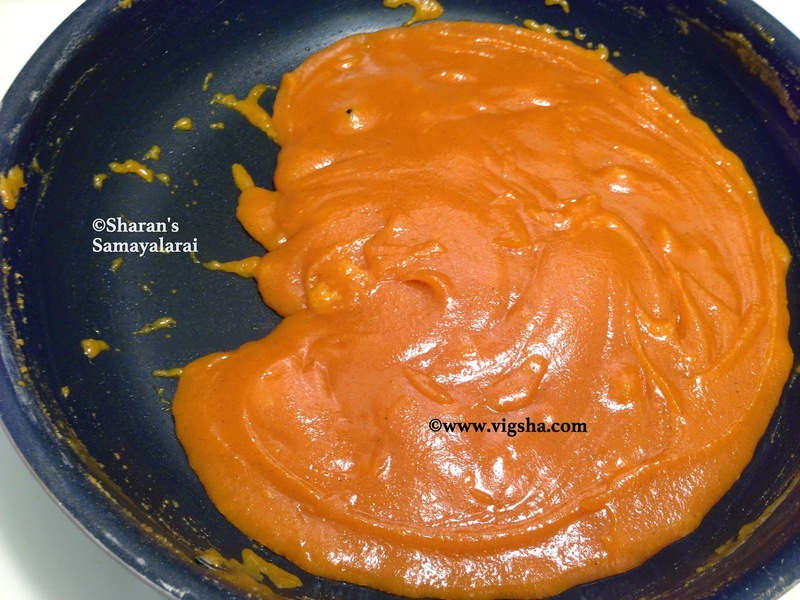 Stir it nicely till it leaves the sides of the pan and doesn’t get stick to the bottom. 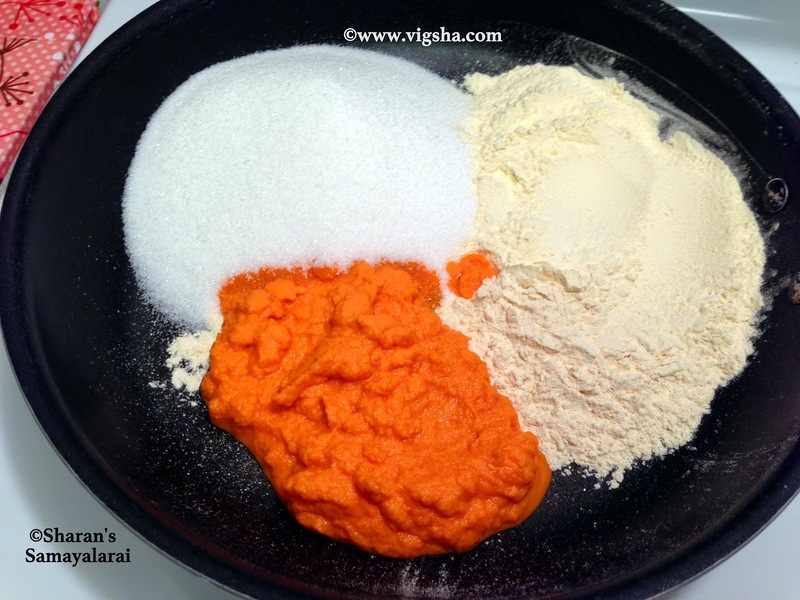 The stirring action will show that the flour mixture starts moving more easily without sticking to the sides or bottom. In few minutes, it will form a mass without sticking, then switch off *. 5). 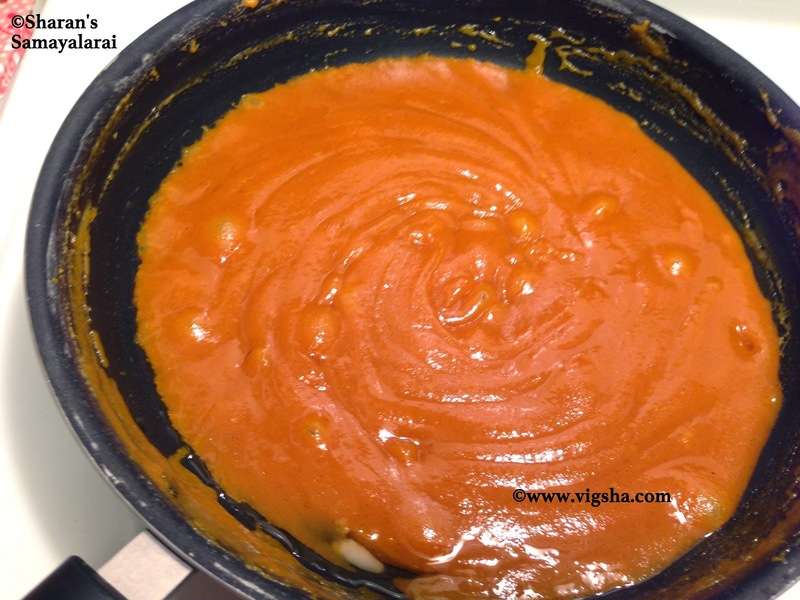 Transfer it to a greased tray and pour the hot mixture. 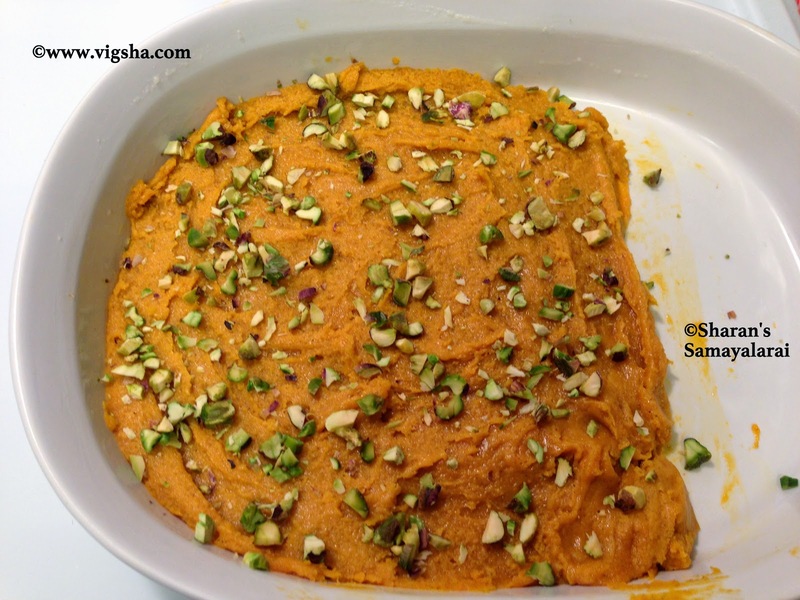 Spread it evenly and sprinkle the finely chopped nuts. Slightly press the nuts so that the it gets infused in the mysore pak. Let it cool a bit, When it becomes warm, using a sharp knife cut to square/rectangle or any desired shape. 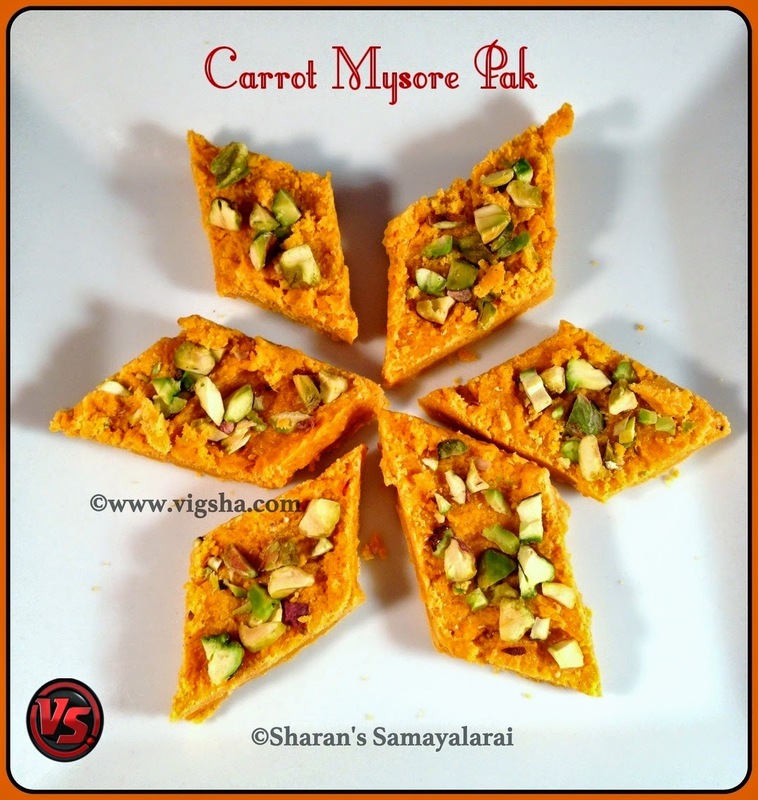 Treat your loved ones with this porous Carrot Mysore Pak. Cool it completely and store it in a air-tight container. It keeps well for a long time. 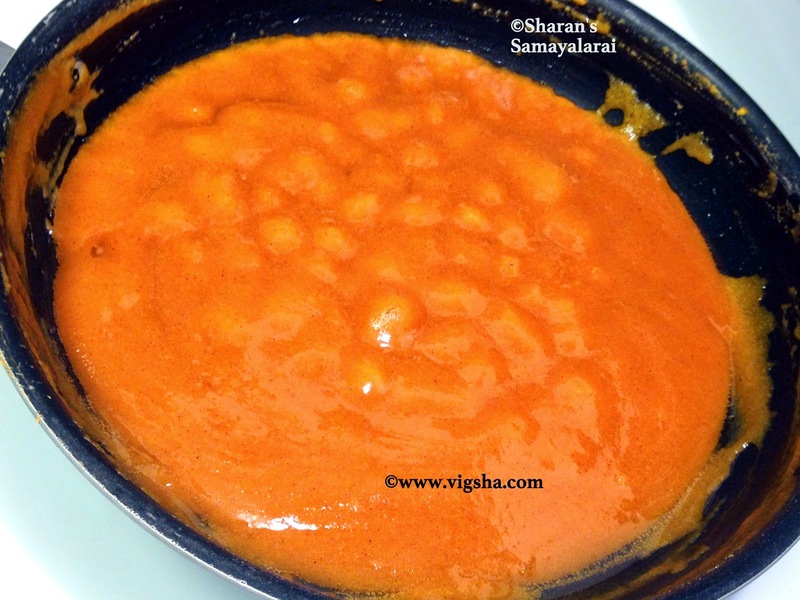 # Roast the flour in a tsp of ghee till it emits a nice aroma. Make sure not to burn it. Sieve the roasted flour to avoid lumps. This step gives smooth texture. # Cut the mysore-pak when it is warm or the shape wont be perfect. # For the perfect taste, don't compromise on the ghee level. # Make sure the flame is in medium throughout the process. # Be very careful in checking the final consistency. Don't over cook then it will become very hard. # It gets little harder once it is cooled so switch off accordingly. 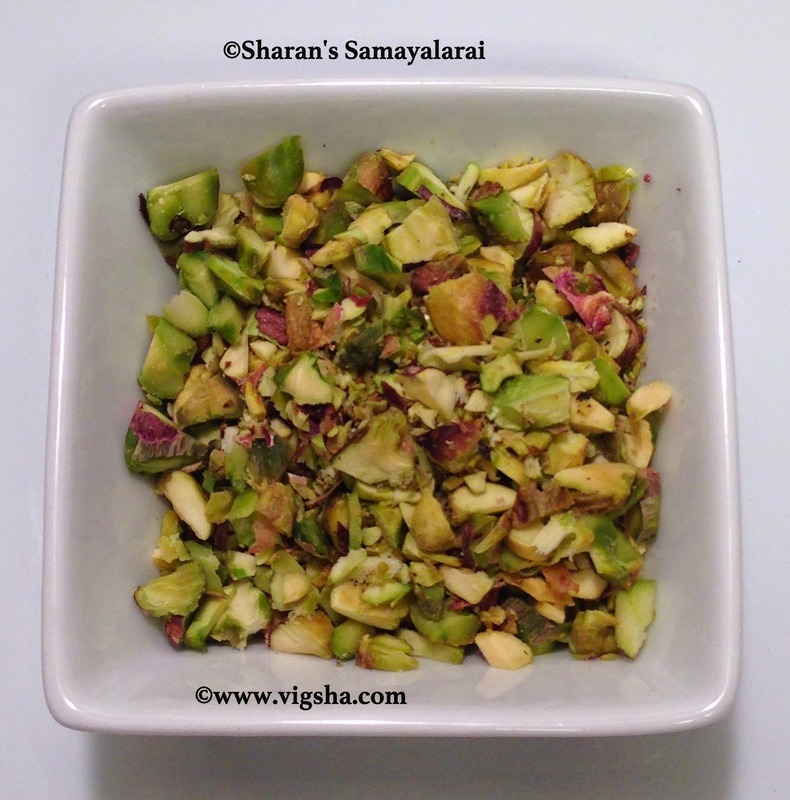 # Adding chopped nuts adds flavor to the sweet.